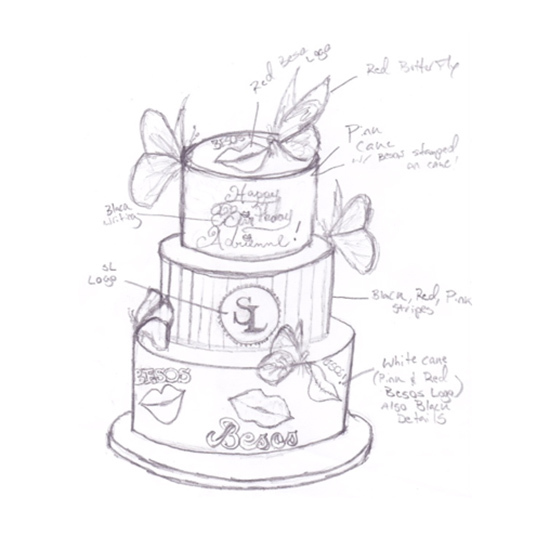 Pastry chef Thiago Silva creates elaborate cakes for celebrities that range from Brooke Shields to Sofia Vergara. 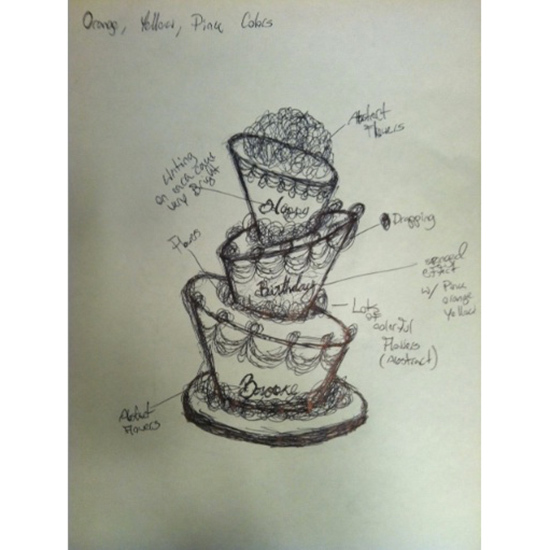 Here, he shares some of his preliminary sketches and the impressive results. 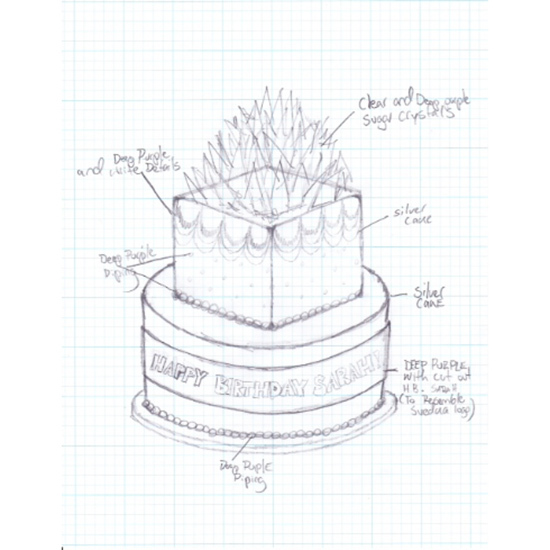 For actress Brooke Shields' birthday, Silva designed an abstract cake covered in bright flowers. Shields' three-tier modernist birthday cake combined devil's food cake and bourbon vanilla buttercream. 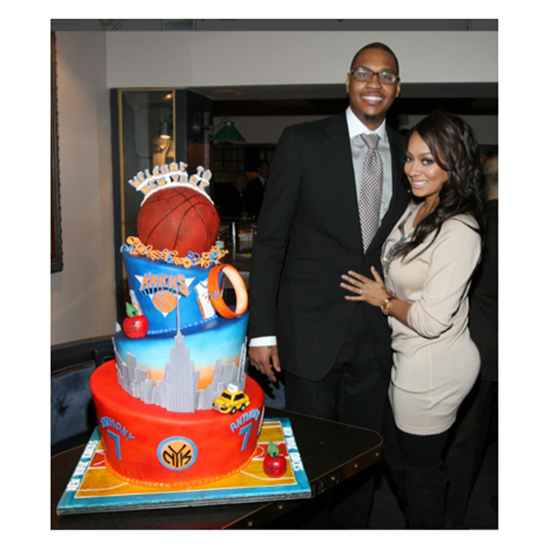 When Knicks forward Carmelo Anthony first moved to New York, Silva created this combo cake with an NYC-basketball theme. 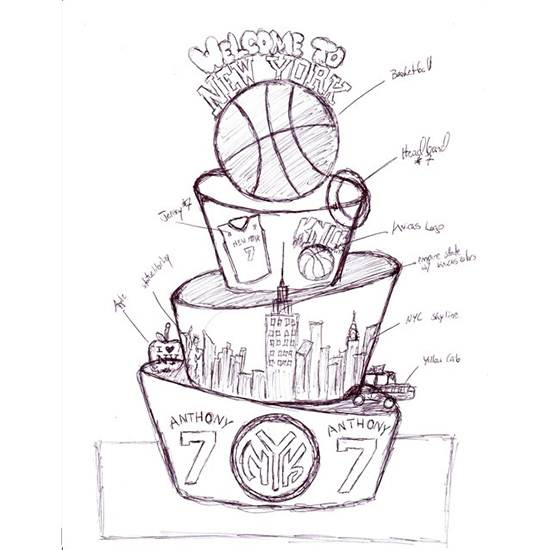 Topped with a realistic ball, the cake also includes an iconic yellow cab, the NYC skyline and the Knicks' logo. Silva made his favorite flavor for Anthony, a red velvet cake with white chocolate ganache. He created the yellow cabs and apples out of Rice Krispies, white chocolate and gum paste. 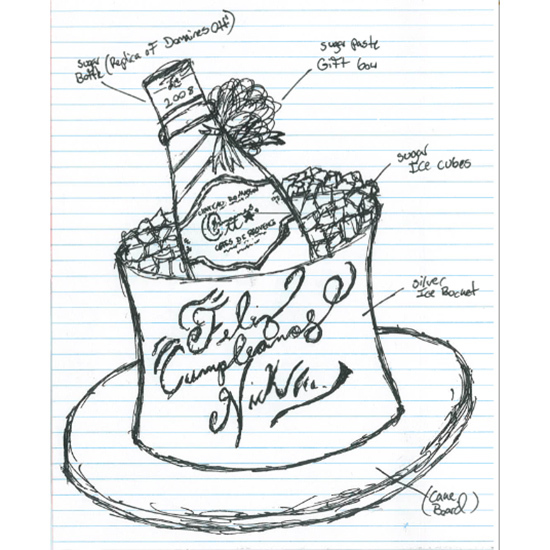 Actress Sofia Vergara's birthday cake marked Silva's first time sketching a cake ahead of time as well as his first attempt at sugar sculpting. 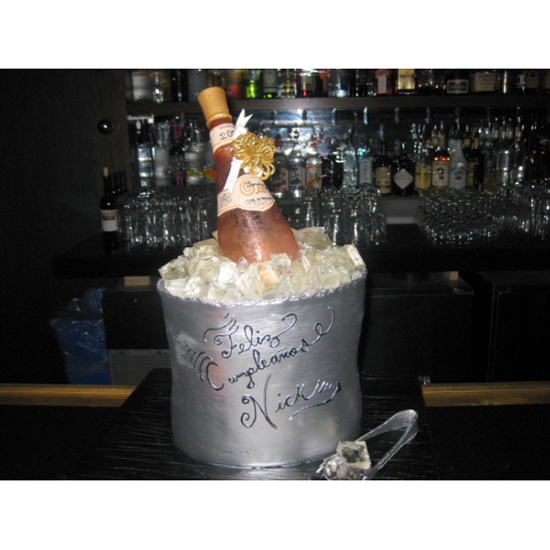 The bottle, made entirely of sugar (as are the ice cubes), is a replica of a 2008 Domaines Ott rosé de Provence. Vergara's cake was a devil's food chocolate cake with bourbon-vanilla buttercream. Upon taking a bite Vergara exclaimed, "Oh my god, it's so good, it tastes just like an Oreo!" 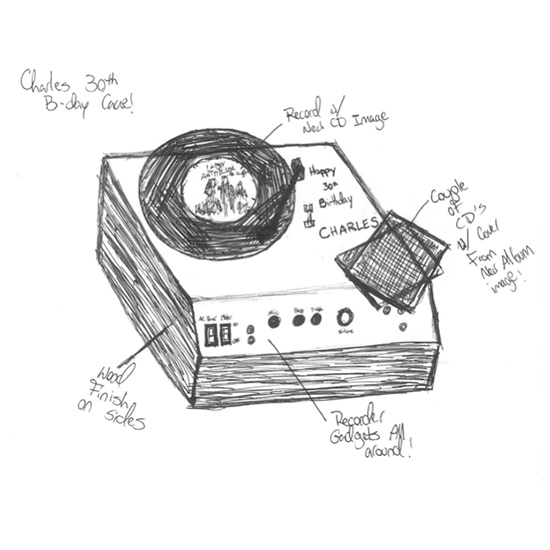 For his birthday cake, country band Lady Antebellum singer Charles Kelley requested a detailed replica of a record player complete with a faux-wood finish, along with a few CDs featuring the band's album cover. 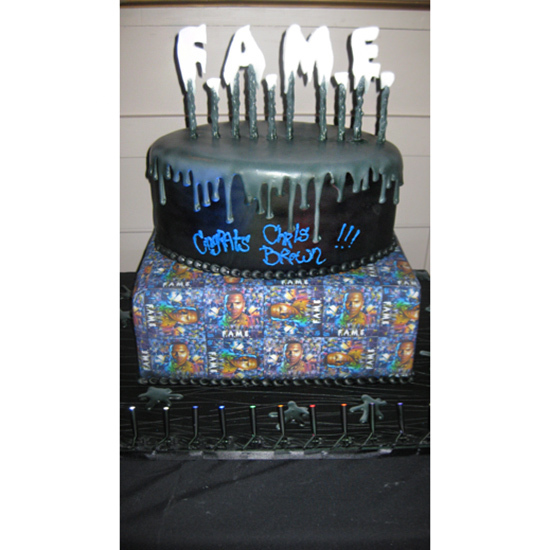 Kelley's record player cake was a vanilla pound cake with chocolate buttercream and chocolate ganache. Silva made the CD cases out of isomalt, a type of sugar. 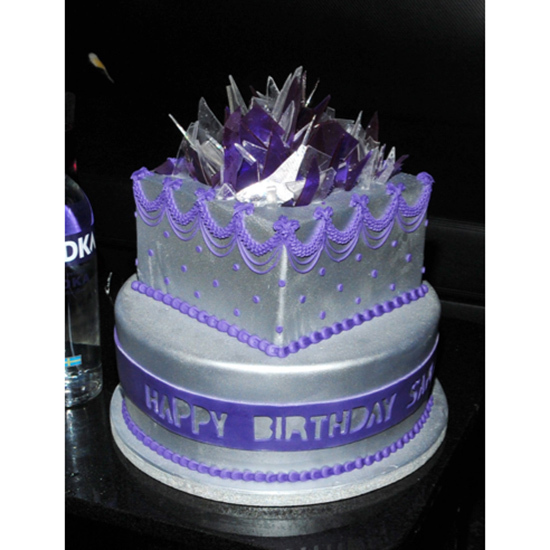 Comedian Sarah Silverman's futuristic birthday cake was topped with sugar crystals and covered in shiny silver frosting. Silverman requested a super classic combination: vanilla pound cake with vanilla buttercream. 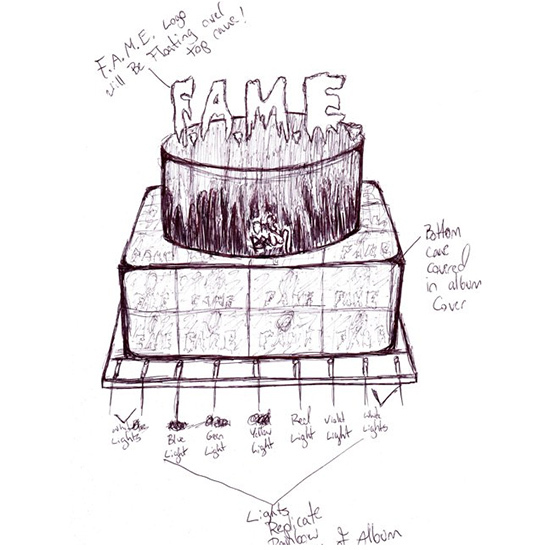 For the release of R&B singer Chris Brown's record, F.A.M.E., Silva made an illuminated cake: The base was lined with colored lights. The F.A.M.E. cake was a vanilla cake with milk chocolate buttercream. When Brown first saw the cake, he thought it was fake. "He actually dug into it to make sure it was real," Silva says. TV personality and singer Adrienne Bailon (a.k.a. 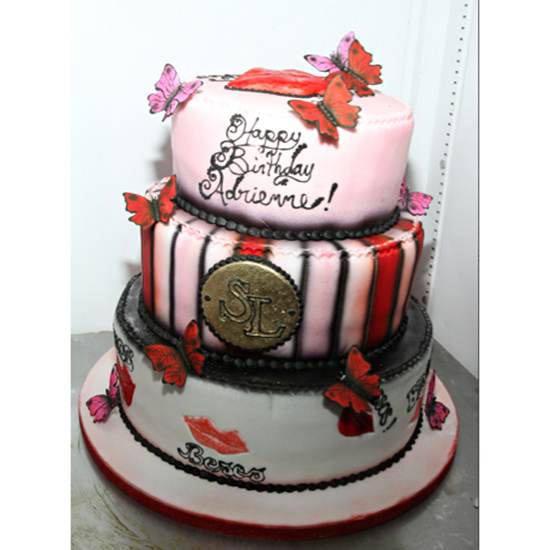 Adrienne Beso) celebrated her birthday with a flirty red, pink and white cake adorned with butterflies and her own "Besos" logo. Bailon's birthday cake was a pineapple cake with dulce de leche buttercream.